A man who went missing while walking his dog that was found with a bloody leash was set to testify in a burglary case involving a break-in at the home of actor Nicholas Cage's ex-girlfriend, and the man's former employer, police said. 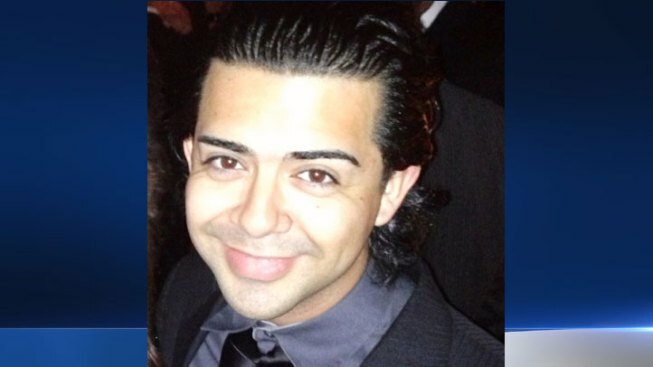 Darwin Vela went missing while walking his dog and was found safe Friday. The man's family realized Vela, 22, was missing when the dog returned home alone with a bloody leash earlier this week. Vela had cuts and bruises when he was found in West LA when he flagged down a motorist, used the person's cell phone and called police to tell them he was the missing person, police said. Police then located Vela and questioned him first at the LAPD 's Wilshire Station before moving him to the Southwest Station. The reason for the move was not clear. He was finally reunited with his family Friday evening. "Darwin is doing just as expected for someone in this situation," Vela's fiancée, Kelly McLaren, told NBC4 Friday night. "He is glad to be reunited with his loved ones. We are happy to have him back with us." Vela was set to testify in a criminal case, which involves a break-in at the home of actor Nicholas Cage's ex-girlfriend, also Vela's former employer, police said. "The circumstances caused us concern and caused his family concern, so we are looking into that," LAPD Deputy Chief Kirk Albanese said. Police said they were looking into three people in connection to Vela's disappearance. He went for the walk Tuesday about 9 p.m. in the 2900 block of South Redondo Boulevard in Los Angeles, east of Culver City, according to the Los Angeles Police Department. Vela took his dog Coco for a walk, and the 3-year-old, 90-pound chocolate Labrador retriever came home without Vela, dragging a bloody leash, police said. "His tail was between his legs and he was hunched over crying," McLaren said. "I grabbed the leash and looked down and there was a thumbprint-size spot of blood." A lab test on Thursday confirmed the blood on the leash was human blood, but it was not clear Friday whose blood was on the leash.